CCG Learn delivers change management training that is designed to build change capability for executives, change agents, line managers, and organisational development professionals. CCG’s change management training ensures that this capability is deeply embedded in the client organisation, which in turn reduces the dependence on external consultants, and supports a workplace culture that is able to identify and appropriately respond to change. Crucially, this approach supports the development of native change systems and methodologies within the client organisation. We are committed to deep collaboration with our clients, and a key part of our work is the transfer of capability and skill in the context of large-scale organisational change and transformation. 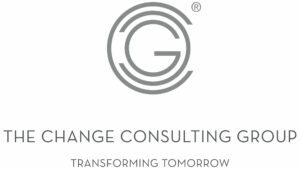 In order to provide the appropriate level of support and experiential learning for our clients, CCG has developed The Change Academy, a sophisticated and proprietary methodology and environment that allows us to provide just-in-time skills and capability development. The Change Academy allows learners to link their experience to change processes currently underway in the learners’ own environments. This approach ensures that learning is provided in a tailored way and produces results that are immediate, effective and sustainable. Two programs that are key to our success in this area include An Introduction to Corporate Change and Leading Corporate Change. An Introduction to Corporate Change is an entry-level workshop that introduces basic change management and facilitation skills in the context of a client’s organisational development framework. The workshop also introduces the use of change management tools, skills and models that support strategic imperatives of the business. Delegates are not expected to have any prior change experience or training. Leading Corporate Change builds on the skills learnt during An Introduction to Corporate Change, introduces intermediate level change tools and models, and offers delegates an opportunity to fine-tune and enhance their change consulting skills. Just-in-time coaching circles ensures that change agents are provided with ongoing support to manage change initiatives currently running within the client organisation. We support this learning by the use of Change Coaching Circles to consolidate and embed change capability within a client organisation. This is an extremely useful methodology that allows a training cohort to share ideas, concerns and areas of difficulty, and to receive feedback from peers and from a skilled facilitator. Support in this context might relate to challenges currently experienced by change agents in the business, the need for repetition in the context of change skills/methodology/tools development, and supervision of existing change processes currently underway. This unique program structure provides the best support possible for newly minted change agents, and ensures that challenges are identified soon after they arise and solutions provided, with real time modelling and coaching by colleagues and by the facilitator. Contact us using the form on the right for more information on these services. CCG is highly regarded in terms of consulting service delivery because of the high level of support and skills transfer that we provide to our clients. Coaching might be provided to change agents, company executives and senior managers. This highly effective learning methodology provides a thinking partnership for the management, planning, execution and closing off of a change initiative. Coaching is widely acknowledged by our clients as being pivotal to the successful execution of large-scale organisational change. CCG Directors and Practice Leads fulfill a critical role as executive coaches in the context of change programs. This process provides a space for company leaders to discuss their areas of concern during a change initiative, and to co-develop solutions with a subject matter expert. We have found coaching to be critical for the successful delivery of large-scale and complex change initiatives, particularly when key stakeholders require a discreet relationship within which to surface, contextualise and resolve complex organisational, group or individual challenges. Organisations have become increasingly aware of the important need to build change capability within their organisations. To respond to these requests, CCG has developed a Master Class methodology for delivering real-time change skills for a client organisation. We do not offer public courses for the simple reason that for change skill and awareness to be most effectively delivered we believe this must take place within an action learning environment, where there are no concerns about confidentiality and where client delegates are able to speak openly about their concerns. In addition, we want to contextualise any theory that we offer in relation to real-time change processes currently underway in the business, and to coach and mentor Master Class delegates in appropriate responses to their environment that might currently be challenging. Finally, each change solution should be tailored for the specific client involved, their unique circumstances at a moment in time. Successful organizations in today’s business environment understand that supporting the emotional and mental wellbeing of employees makes sound business sense. It promotes optimal work performance, retains talent and cultivates a harmonious work environment. As an ongoing service to client organisations and the general public, our senior consultants are regularly asked to speak at public and private conferences. We are particularly interested in speaking at private client conferences on matters pertaining to change as a general topic and and with respect to programs currently underway within their organisations. Contact CCG Learn using the form on the right for more information on how we might provide your organisation with Speaking Engagements.